Academician Anatoly Vasilyevich Rzhanov (1920-2000) is the largest scientist in the field of semi-conductor microelectronics and physics of semiconductor surface. Anatoly Vasilyevich had a very difficult life: he has been at the war and he has been wounded at the Leningrad front. He has been badly wounded in 1943, which could seem to bar the way to science for A.V.Rzhanov. However, he finished excellently his postgraduate study in Lebedev Physical institute in 1948, and started the USSR first studies in creating a semi-conductor transistor. In 1962, he moved in Novosibirsk Akademgorodok with a group of researchers from PhIAN under the invitation of academician M.A.Lavryentyev and he organized the Institute of physics of solids and semi-conductor electronics (the Institute of semiconductor physics later on). During relatively short time, he created a group of scientists and engineers that was capable to complete profound fundamental and applied researches. Among these researches, mention can be made of non-volatile matrix memory elements, a variety of instruments, microwave-electronics units, and photo receiving devices from visible to far infra-red range of the radiation spectrum. Primarily, the researches of the institute were employed in semi-conductor manufacturers of the Siberian region. Achievements of the institute have been awarded with five State premiums and with the Premium of the USSR Council of Ministers. As he understood that science cannot do without inflow of youth, Anatoly Vasilyevich rendered much efforts to the education of young staff. He supervised numerous post-graduate students, he has organized sub-faculty of semiconductor physics in NSU being its permanent head for long. Among the disciples of Anatoly Vasilyevich, there are three corresponding members of RAS, tens of doctors and candidates of sciences. 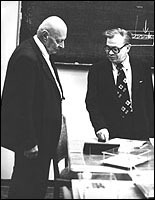 Anatoly Vasilyevich successfully combined great scientific work with significant scientifically-organizational activity. Long time he was the vice-president of the Siberian Branch of AS USSR. 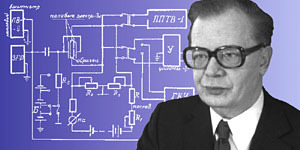 He was the member of the bureau of the Scientific Council on physics and chemistry of semiconductors, the editor-in-chief of the "Microelectronics", magazine, the Chairman of the Commission on elemental base of the Committee on Computer Facilities of AS USSR. He represented the USSR in the International vacuum union for many years. The merits of Anatoly Vasilyevich to his country have been rewarded with great government awards. He has been awarded with the Order of the Labour Red Banner, October revolution, Lenin Order, and with the Order "For the merits to the Motherland" of the IV degree. A.V.Rzhanov has been also awarded with combat orders and medals for his courage and heroism he had shown at the front. * Source: Slyed na zyemlye. Soldat, Uchyenyi, Uchityel': posvyascayetsya pamyati akadyemika Anatoliya Vasil'yevicha Rzhanova. 1920-2000 gg. / Otv. ryed. chl.-korr. RAN Nyeizvyestnyi I.G. - Novosibirsk: Izdatyel'stvo SO RAN, 2002. - 460 s.
Dokumyent izmyenyen: Wed Feb 27 14:46:44 2019. Razmyer: 9,146 bytes.